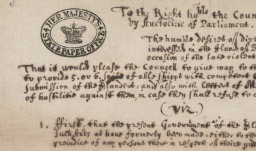 Blog 2013 - New: COUNTER 4 now available! New: COUNTER 4 now available! 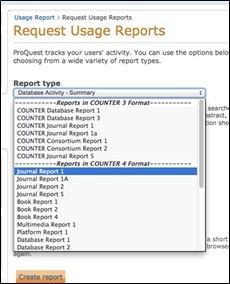 - The ProQuest search interface now has COUNTER Release 4 compliant reports with data from October 1, 2013, forward. - Usage reports in COUNTER Release 3 will still be available for metrics prior to October 1, 2013. In fact, you'll be able to run COUNTER 3 compliant reports through the end of 2015. - An overview of the modifications to the existing reports and description of the new reports is available here. In the coming weeks, we’ll be providing more information on COUNTER 4 and other usage reporting enhancements. Stay in touch — be the first to hear about these enhancements. Subscribe to the ProQuest blog via RSS, (www.proquest.com/blog) or follow us on Twitter @ProQuest.